Lorena Marañon has been creating uniquely personal quilts using traditional techniques and handwork under the maranoni label since 2009. Made in Los Angeles using mostly vintage and found fabrics whose histories are left intact. Limiting the use of new material means less unnecessary waste of resources. Designs are approached spontaneously and no two quilts are ever alike. They begin with loose concepts of pattern and color. The design ends when there’s balance, and opposing elements are able to live harmoniously. 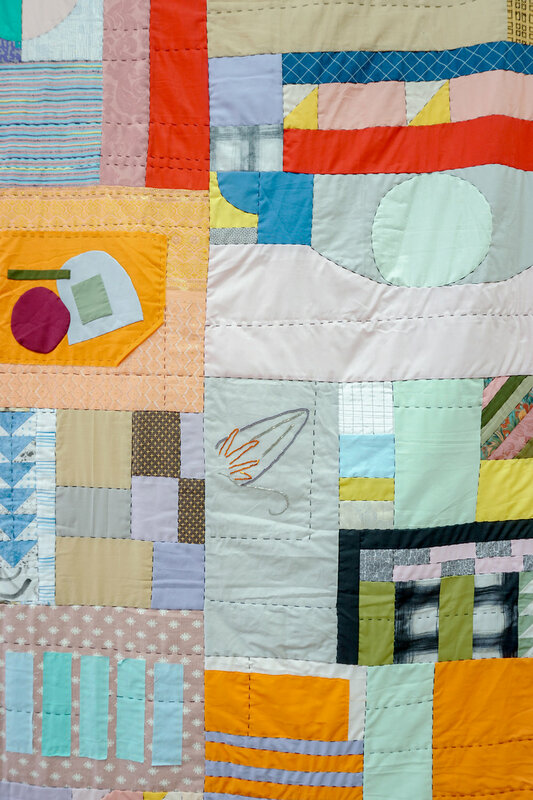 "I've always made quilts as a means of story telling—wherein cloth can speak about an individual’s place in time as it transforms into an inherited artifact."